Royal Signals Museum, Blandford Camp, Dorset DT11 8RH. A valid photo ID (passport/driving licence/MoD90) is required by all adults aged 16+. See below for full details. Mon – Fri 10am – 5pm (last entry 4pm). Open every weekend 10am – 4pm until October half-term. There is an access ramp at the front entrance to the Museum and a lift between lower and upper levels. There are toilets and toilets for the disabled. If you require any additional access arrangements or help with your visit please Contact us. The Museum is inside a working Army Camp. 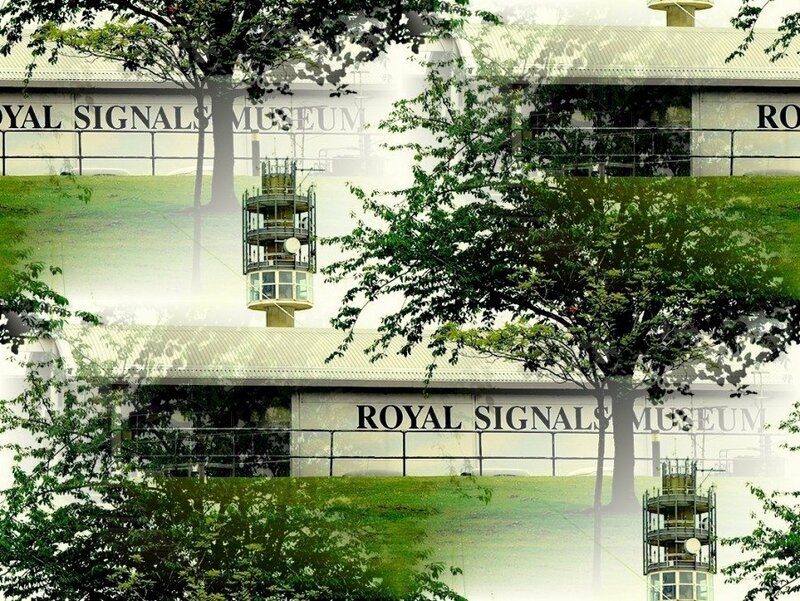 We want to make your visit as enjoyable as possible The Royal Signals Museum is within the confines of Blandford Camp. All adults (16+) must bring a valid personal PHOTO ID (driving licence, passport or UK military ID Card) to be permitted entry! If this is a problem please email adam@royalsignalsmuseum.com in advance and we will help you make alternative arrangements. 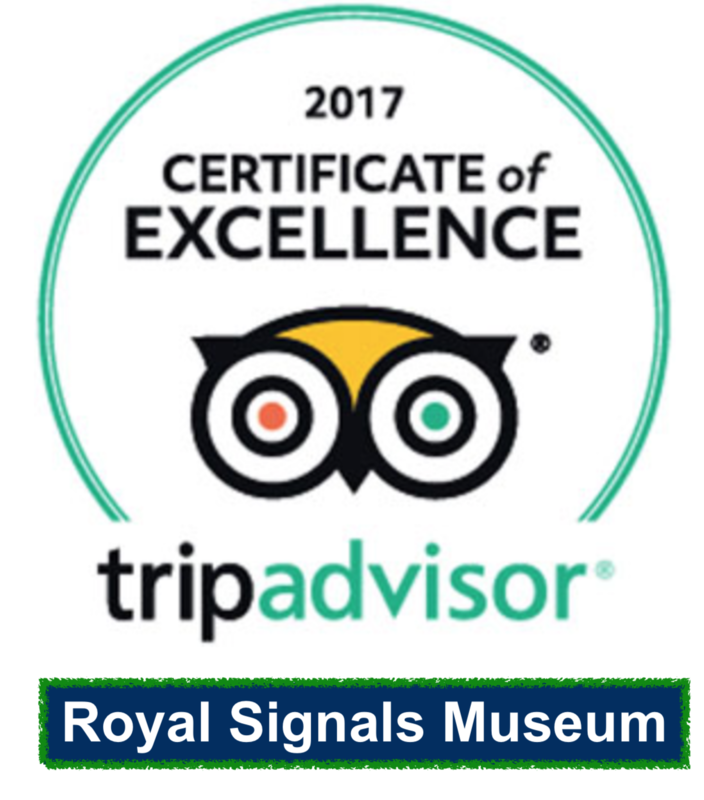 If you would like to organise a Group Visit please email adam@royalsignalsmuseum.co.uk or telephone 01258 482 248. Tours and Catering can be provided, by arrangement. No dogs, except guide and assistance dogs, are permitted inside the Museum. 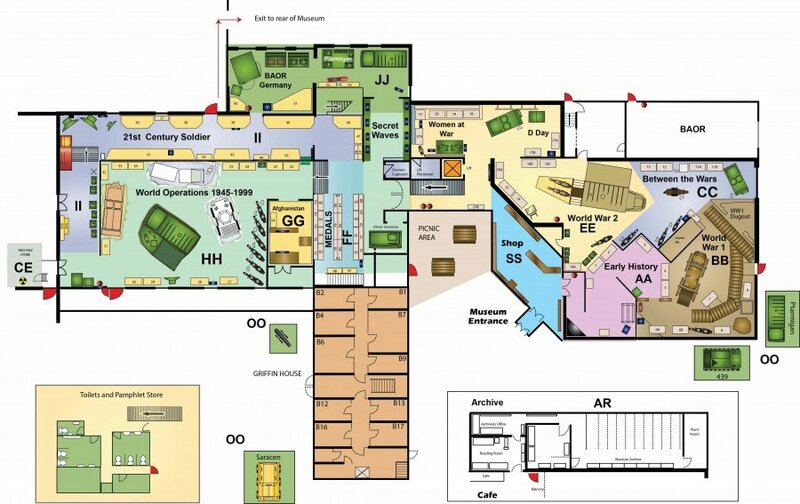 Click here to view the interactive floor plan..
Find out why we’re the number one attraction in Blandford Forum. Weekdays 10am – 5pm. Last entry 4pm. Weekends closed until February half-term. The camp is not easily accessed by public transport. The nearest train stations are Salisbury or Bournemouth (approximately 40 mins drive from the camp). Buses run to Blandford Forum which is approximately 2.5 miles from Blandford camp. X12 Bus Service Weymouth to Blandford Via Dorchester and Puddletown. Buses do not go to The Camp. The Camp is approximately 2.5 miles from Blandford Camp – via a country road. Click on the map above for driving directions. The postcode for Sat Nav is DT11 8RH On arrival at the camp you will be directed to book your car in and obtain a car pass. Parking is free but visitors must park in the designated museum car park spaces. Thank-you for your understanding. All adults must book in. Valid photo id is required. You will be issued with a pass and if travelling by car, a vehicle pass. There is allocated parking for Museum Visitors. If on arrival the bays are full just let staff know and they will find you a space. We wish you an enjoyable visit. Enjoy a refreshing brew and delicious snack. Weekends 11am – 2pm (from Feb half-term to October half-term only). Weekends November – February half-term closed. *Closed between Christmas and New Year. See the home page for specific dates. Capacity 50 people. Large groups and parties need to book in advance and can select from a buffet menu. 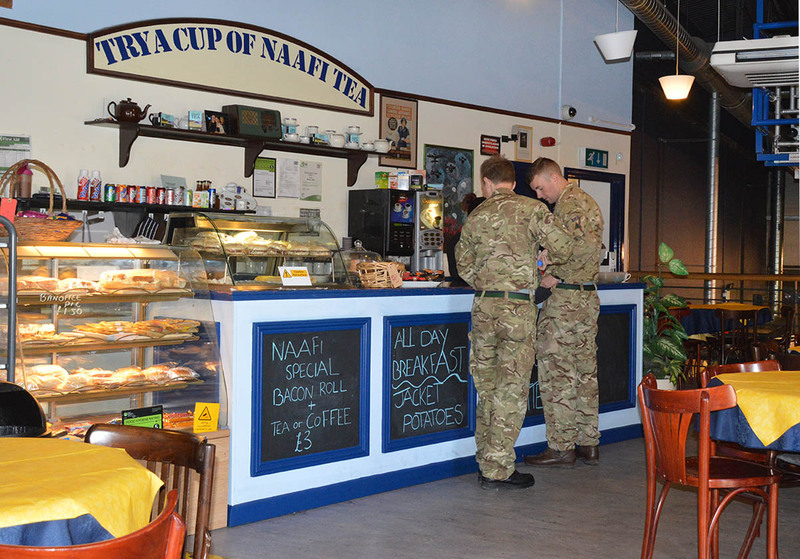 Schools, Scouts and Cadets may bring their own food and eat collectively in one of our resource rooms. 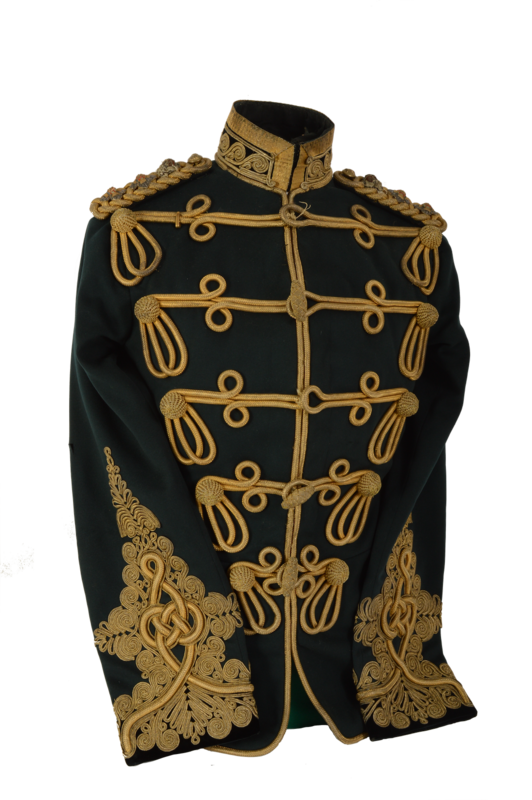 The Museum shop sells a wide-range of toys, gifts and souvenirs including Royal Signals memorabilia – ties, cufflinks, brooches, glass ware, statues, plaques. We also sell DPM clothing, rugby shirts, and kit and uniform items. A warm welcome awaits. The shop is situated at the entrance to the museum.